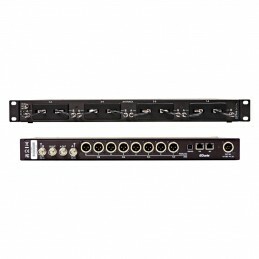 The Audiot Ltd. A10-RACK is a 4 slot, 8 channel, 1RU wireless microphone receiver enclosure, compatible with most unislot and SuperSlot™ receivers. 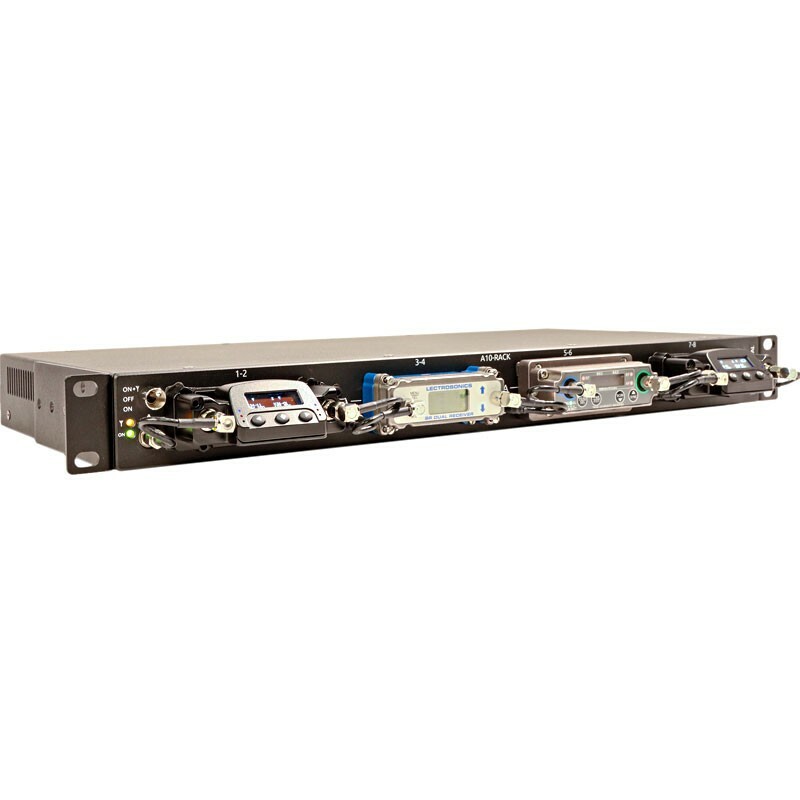 The A10-RACK accepts up to 4 dual-channel slot-in receivers*, providing a total of 8 separate audio feeds. 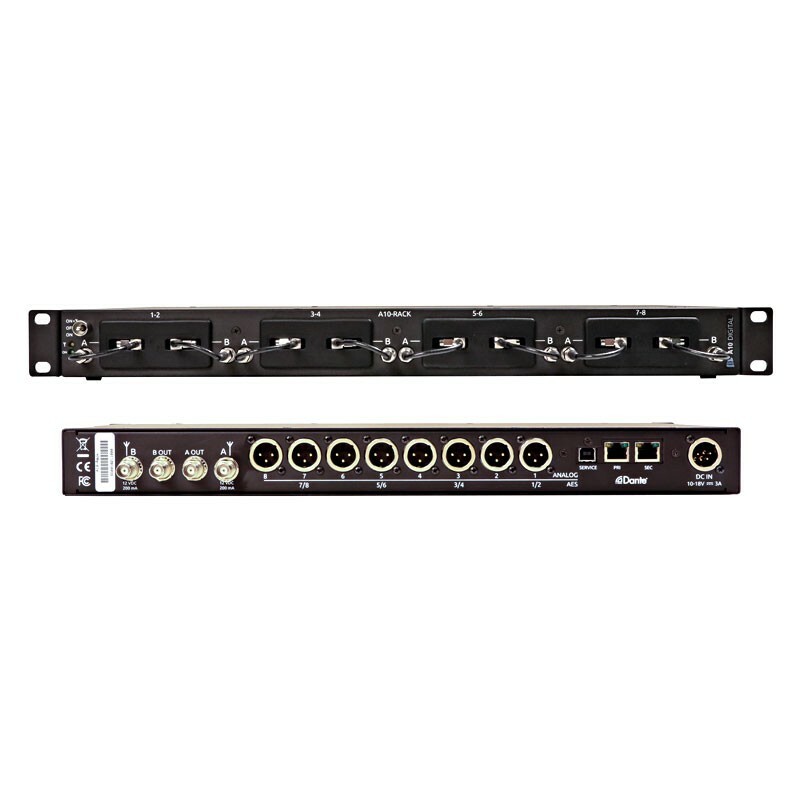 The A10-RACK provides high-quality antenna distribution, power distribution, up to 8 channels of analog and/or AES digital audio via XLR-M connectors and an 8 channel Dante audio interface. Full Dante audio network integration for up to four Superslot compatible wireless mic receivers (eight audio channels), such as Audio Limited's A10-RX, as well as some models by Wisycom and Lectrosonics.